If you bought a used Android phone (or tablet) to save some cash or you tried to root your phone, you can easily check if it’s actually rooted. There are multiple ways to tell if you have root access, but I don’t want to bore you with every single method (you only need one that’s easy and works). First, head to Google Play and download a terminal client app, if you don’t have one already on your phone. 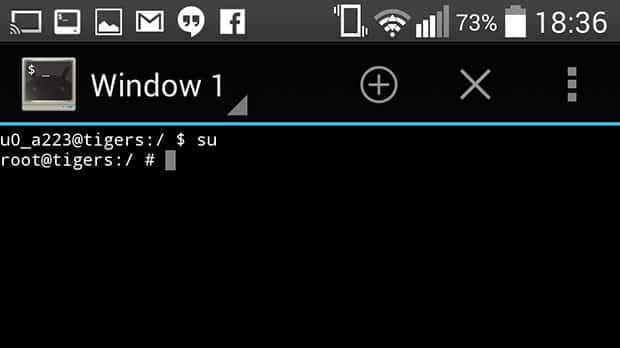 I recommend getting “Terminal Emulator for Android” which is for free. Launch the app and you should get the well-known terminal interface with a text entry prompt. Now, check the character right before your entry prompt. Is there a dollar sign? If so, type in su and hit enter. Should the dollar sign change into a pound sign (#), then you’re rooted! During that process, you might see a popup asking you to give the terminal app superuser permissions, which you should grant. Well, that’s all there is to it. A rooted phone opens you up to a whole new world of custom ROMs, the Xposed Framework and a lot of other cool stuff. If you didn’t get to see a pound sign after trying to root your phone, repeat the process and make sure you’re following the right steps.